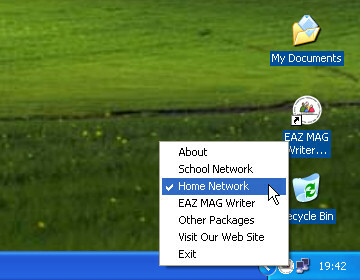 School staff who take their laptops back and forth between school and home often find that they constantly have to go into the bowels of Internet Explorer to enable or disable their school proxy, but with this freeware program the task is much quicker and simpler. Important Note: you have to choose your preferred network before you open up Internet Explorer, as this browser only looks at the proxy information when it first starts up. 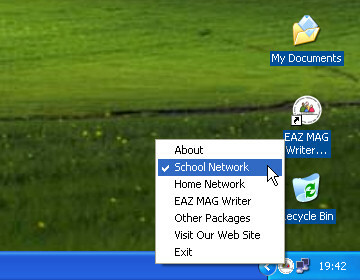 If you already have Internet Explorer open, simply close the browser as normal, select your preferred network via the EAZ School Proxy Switcher and then run up Internet Explorer again.